Recently, I was at the theatre waiting for the feature film to came on, when a “quit smoking” ad came up that caught my attention. The word “fail” was repeatedly flashing on the screen. The point of the ad was that quitting smoking is hard and you need to expect to fail because eventually you will succeed if you don’t give up. With the New Year quickly approaching, I thought about the struggles many of us face keeping our New Year’s resolutions. But then someone offers us a piece of our favourite cake; we sleep in and miss our morning workout; we lose our patience with our kids… and our resolutions are challenged. Change feels too hard, too out of reach. 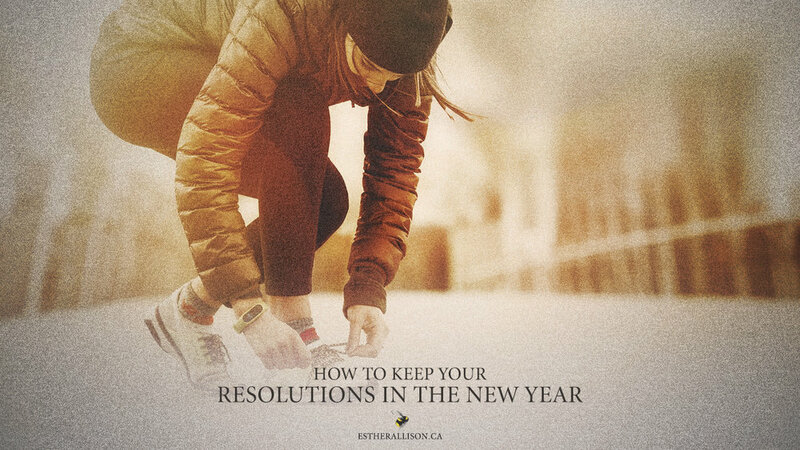 We often decide our resolutions are impossible and we give up, because it’s easier to remain the same. But what I am learning is that when we create goals, we can expect some challenges before we achieve them. Like the “quit smoking” ad suggests, we need to be aware that as we move toward change, we will fail, (perhaps many times) before we reach our desired goal. I wonder if what gets between us and our success is not failure itself, but what we tell ourselves about failure. When we fail it’s easy to become self-critical by rehearsing past failures in our mind. We say things to ourselves that we’d never dream of saying to our worst enemies, let alone to a friend. But rather than “beating ourselves up” for failing and sabotaging our goals, what would it be like if we allowed failure to become our teacher? Failure is part of the process of change. It gives us important information about ourselves. When we fail, we discover what keeps us bound to our addictions and habits. If you have ever tried to quit a habit, you may know what I mean. For example, it isn’t until someone decides to quit drinking that they realize they need help to process painful feelings and memories without alcohol. It isn’t until someone decides to stop biting their nails, that they may realize they are struggling with anxious thoughts. Failure reveals what is underneath our old habits and addictions. Change happens slowly, like peeling back the thin layers on an onion. If we peel an onion one thin layer at a time, we will eventually get to the centre. Similarly, when we want to make change it is often a slow process that happens “one thin layer” at a time. If we steadily approach change with patience and self-compassion we will eventually get to our goal. If you want to make a change in the coming year, don’t let the fear of failure prevent you from setting a goal. Even creating a small goal, can move you toward healthy change. When you bump into frustrations, and feelings of failure (as we all do), don’t beat yourself up about it. Pay attention to what is making change hard, and then use that knowledge to create new approaches. Set a goal. Try. Fail. Learn. Try again. May you find the patience and perseverance you need to move toward a healthier you this year. Sometimes, there are not words strong enough to express the pain we feel. There are seasons of life that don’t have simple solutions; times when we are overwhelmed by feelings of despair and helplessness. Financial stress, sickness, untimely deaths, grief and relationship breakdowns are situations that can leave us feeling confused and alone. But sadly, in addition to all of the usual feelings of sadness and isolation experienced in difficult times, Christians experience an added layer of difficulty: guilt and shame for feeling upset in the first place. Christians are often unsure how to find an honest expression of their faith in the midst of difficulty and stress. Disappointment and grief can provoke some big questions: If God is good, how can he allow bad things to happen? Why should I pray when it feels as though God is silent? Sometimes Christians feel shame for asking questions like these because it doesn’t seem like questions people of faith should be asking. This guilt and shame is only made worse, when we attend a church service and the songs being sung are about the goodness of God and the victory we can find through our faith in him…. but there is an absence of lament. Don’t get me wrong, I believe God is good and I have felt his strength holding me together in difficult times. There is a place for songs of praise and thankfulness, but if there is no place for lament, how do Christians who are suffering join in from a place of honesty? Sadly, if we don’t make space for people to express their pain and disappointment with God, we deny them the full expression of their faith. When we are suffering, we need to know that there is still a place for us within the community of faith. We need the assurance that faith and struggle are not in contradiction with each other. While lament may be near absent in many churches on Sunday morning, there are numerous passages in the Bible that describe great emotional pain and honesty. You only need to flip through Lamentations, Job, Jeremiah or the Psalms to find some needed assurance that you are not alone in your struggle. It doesn’t get much more honest then the psalmist in Psalm 88: “You have taken from me friend and neighbor—darkness is my closest friend” (v.18). Or listen to the honesty of the author in Lamentations: “See, Lord, how distressed I am! I am in torment within, and in my heart I am disturbed” (Lam 1:20). The honesty of these writers, gives us needed assurance that when we struggle, we too can offer our uncensored pain to God—knowing he can handle it. Adversity and hardship are isolating enough on their own, without the added shame of feeling we “shouldn’t” feel the way we do. We can express our pain and disappointment to God without feeling we are betraying our faith. And we can rest knowing that God can handle our pain and our struggle. Recently, I took some time with my family to set up the Christmas tree. As I pulled the ornaments out of the box, each one brought different memories. I laughed out loud (literally) at some of the ridiculous ornaments we keep only for sentimental value, like the “well loved” elf my husband has had since childhood. Other decorations reminded me of when the kids were little and still enjoyed making homemade ornaments with construction paper and sparkles. Other ornaments brought sad memories, like the tiny pair of baby shoes that mark the year we had a miscarriage. Holiday traditions as simple as setting up a Christmas tree can bring a flood of memories and feelings. 1. Be patient and kind to yourself as you approach the holidays. It is normal to experience deep feelings of sadness and loss, and it is common for those feelings to intensify as we approach the holidays. Give yourself extra time and space to process your grief, and reach out to others around you if you need extra support. 2. Find a cause to invest in. There is a saying, “Grief is just love with no place to go”. When we love someone, that love doesn’t die with them; it remains alive in our hearts. The challenge becomes not knowing what to do with all of this love. At Christmas time, we may be used to buying gifts for our loved one, but we no longer have that person to exchange gifts with—reminding us of our loss. Some people find it helpful to find a cause that honours the memory of their loved one. Giving time or money to a suitable charity can be helpful, as it gives expression to the love in your heart. Grief changes us. We are different people from having loved and lost someone near to us, and sometimes it is helpful for us to change our traditions to create a new normal. If you have a holiday tradition that feels unbearable in the absence of your loved one, don’t do it. Instead, consider doing something new… possibly entirely different. Having something new to look forward to can sometimes create a healthy distraction and make the pain of loss more manageable. If it’s in your budget to have a destination Christmas, the change of scenery and new experiences could be exactly what you need to get through the holidays. Sometimes, even a small change can be helpful. For example, if it has been your tradition to exchange gifts with your family, it may be a nice change to invest in an experience instead. You can avoid the gift exchange by treating your family instead to a night out at the movies, a dinner, the theatre, a weekend away… whatever your family can afford and enjoy. Creating new traditions can help alleviate some of the added sadness old traditions often bring. Most important is to find what works for you. There is no right or wrong way to grieve. You may have your own ideas coming to mind even now. It may be helpful to take some time to create a Christmas plan that works best for you and your family. While it may feel like a tall order, may you find peace this Christmas.